Jessica is a female muralist who utilizes her art for social change, action, and empowerment. She’s serious about her art and about her mission to uplift the voices and perspectives of the folks it represents. 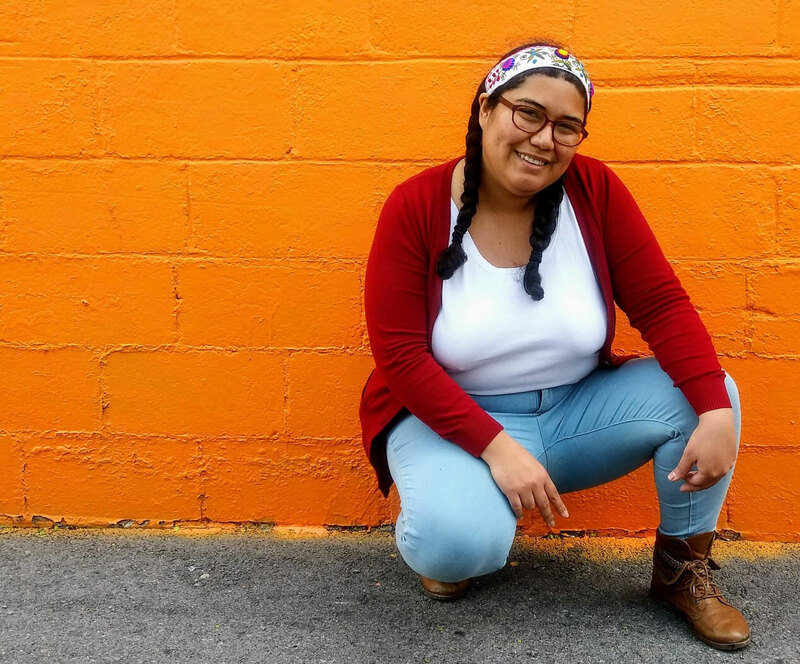 Her work’s focus on resilience inspired the Women’s Week committee to pursue a community-based mural that celebrates the resilience of our own Salt Lake City community. You can visit “Este barrio no se vende” at 700 West North Temple, Salt Lake City. Art can be an incredibly powerful messaging tool when used properly. Here is one such story of Ella Mendoza, an undocumented and queer multi-disciplinary artist, who uses their art to advocate for social justice. Mendoza was born in Lima, Peru and immigrated to the United States when they were 12 years old. Mendoza’s mother, wanting to give her children more than what life in Peru already offered, agreed to let Mendoza’s father take her children to Utah while she stayed behind. “My story is very different from other immigrants, my father brought my brother and me to the United States to find wealth,” said Mendoza. The notion of what success is and what success looks like influenced the family to make the move, but had Mendoza stayed back in Peru, life would have still been perfectly fine and manageable. After moving to Utah, Mendoza’s father became abusive and cut their ties with their mother. Mendoza, no longer able to endure the abuse at home, ran away when they were at the age of 19 and became homeless. Surviving on the streets and staying in women’s shelters were some of their happiest memories because they were living on their own terms and bonding with the women at the shelter. It gave them a sense of joy and community. Due to this newfound community and the injustice, Mendoza took up activism. They had always enjoyed art and the only way they could contribute to social justice movements were through the form of art. After getting their life situated, Mendoza began making flyers, posters, and banners for various events and movements such as the Salt Lake Dream Team, Ice Free New York City, Audre Lorde Project and currently the Nopalera Artist Collective. To Mendoza, who will be painting the mural alongside Sabogal, the installation reflects the voices of the people who will not stand idly by while they are pushed out of their own neighborhood. Often times when new housing complexes and coffee shops are built, the people who actually live in Rose Park and the West Side are not consulted. The majority population in these neighborhoods are predominantly people of color. Mendoza says, “What is important about this mural is that it’s giving a voice to a neighborhood, giving the people access to art and power, as well as inspiring the people to stand up and fight for their neighborhood.” As a person who has experienced homelessness and as gentrification pushes people of color out, Mendoza fights for the rights of people of color to have a place they can call home.